A 42-year-old man who had left his vehicle to assist his family was struck and killed by a driver on Tuesday night. The crash happened at approximately 11:20 p.m. on Interstate 90 near Issaquah. The incident began when a 1994 Toyota Camry carrying a woman and her 11-year-old daughter broke down. She was able to pull over onto the left shoulder. The woman’s boyfriend, who was the father of the 11-year-old girl, arrived in a different vehicle to assist them. While he was outside his car, a Nissan pickup truck slammed into him and the Camry. He died at the scene. The driver of the Nissan pickup truck then tried to flee the scene, but didn’t make it far. The truck was found further down the road, totaled and in a ditch. 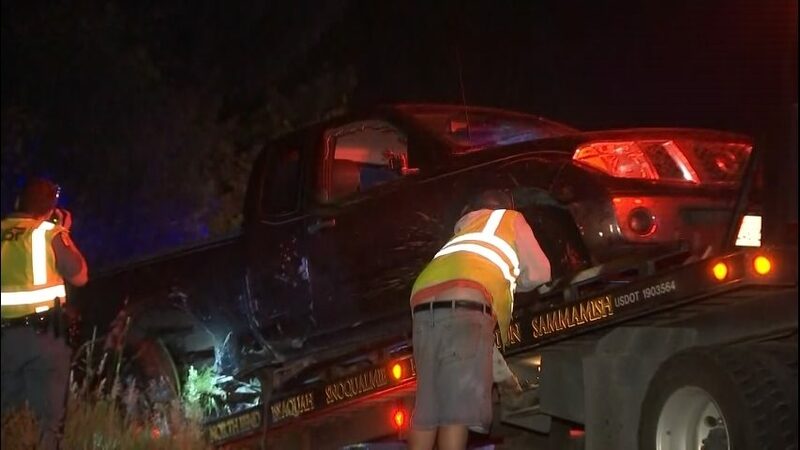 Police believed that the 42-year-old driver was showing signs of intoxication. They arrested the at-fault driver and booked him into jail for an investigation of vehicular homicide. The woman whose car was slammed into was treated for injuries at Overlake hospital. Her daughter was uninjured. In 2015, 10,265 people in the United States died in crashes involving an driver who was impaired by alcohol. Each day, an average of 28 people in America die in motor vehicle crashes involving a drunk driver. According to the CDC, studies have estimated that every year, there will be 111 million episodes of adults driving drunk in the United states. Roughly 1.1 million of those drunk drivers will be arrested in a given year, and fewer still will be convicted and sentenced for their crimes. The average drunk driver will get behind the wheel while under the influence 80 times before they are arrested for the first time. Drunk drivers are most likely to kill at night, and their incidence of fatal crashes spikes on weekends. Of those tiny fraction of drunk drivers who are caught, somewhere between one half to three quarters will continue to drive on a suspended license. On average, two out of every three Americans will be in a crash involving a drunk driver at some point in their lives. Work with law enforcement. The police may need to speak with you about what happened leading up to the crash. If the at-fault driver is facing trial for vehicular assault or vehicular homicide, you may be able to prepare a victim impact statement to be read at sentencing. It’s unlikely that you’ll be asked to testify during the trial. Focus on healing. After a crash leaves you with severe physical or emotional injuries, your first priority should be healing. If you’ve been physically injured, make sure to see your doctor and go to any necessary follow-up appointments with physical therapists, massage therapists, orthopedists, neurologists, and any other specialists you might be seeing. If you’ve suffered emotional harm such as the loss of a loved one, the loss of your loved one’s support, or post-traumatic stress syndrome, it’s a good idea to work with a therapist or grief counselor. Learn your legal rights. Even if you’re not sure whether you want to file a claim for damages, it’s a good idea to speak with a DUI injury attorney about your legal rights. A personal injury attorney can help you investigate the circumstances of the accident, seek compensation for your medical bills and other damages, and speak with pushy insurance companies on your behalf. If you have been injured in a drunk driving accident, you can get in touch with our legal team at any time by using our convenient chat feature, visiting our contact form, or calling (206) 727-4000.